Flashpoint Candle offers high quality handmade candles in beautiful designed containers. They offer single wick candles all the way up to stunning candles with 23 wicks, outdoor candles as well as citronella candles. Prices start as low as $5! 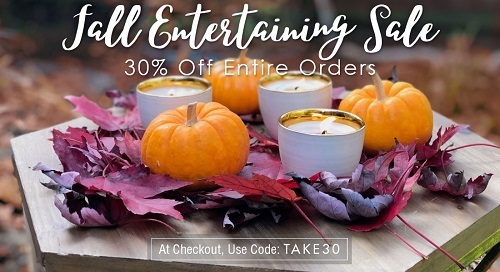 Save 30% off entire orders with coupon code TAKE30. Plus earn 10% cash back on your purchase from Sunshine Rewards! Sale ends November 14th.